Help boost the Custom and Self-build sector by becoming a member of NaCSBA. We have two levels of membership for professionals operating in the Custom Build, Self-build and community-led housing sector – Gold Corporate Member and Standard Member. For Standard Membership there is a range of option to reflect different organisations. For a complete list of our members, please visit our Members Directory on the Self Build Portal. Why become a NaCSBA member? As a company, you understand the bigger picture – you want to make building a home easier in the UK. You want others to appreciate that Self or Custom Built homes offer the most beneficial and effective way to get the best quality or most cost effective homes. You want the benefits to be available to far more people. Membership helps deliver these outcomes. NaCSBA is a not-for-profit organisation, and the finances raised from membership fees directly feed into our lobbying and campaigning work – helping us create more opportunities for our members. Check out the range of work we undertake, here. NaCSBA relies on membership subscriptions from companies and organisations to help fund this core work, so the Association really does value your assistance. Our financial independence means that we have an objective voice when lobbying, that Government respects. Subscriptions help us to continue our essential work and we offer a series of benefits in return. Help boost the Custom and Self-build sector! There is a range levels of membership to compliment you and/or your organisation… from free supportership for the would-be Self/Custom Builder for consumers, to fully-fledged corporate partnership. Corporate Gold membership demonstrates that you’re a heavy-weight in the Custom and Self-build sector, and are truly committed to changing the way we do housing in the UK. Your backing is crucial to supporting our lobbying of central and local Government, and contributing to the growth and expansion of the self build industry. By partnering with NaCSBA as a Gold Member, you also help us provide better information to would-be Custom/Self-builders – your future customers – and build up our ‘best practice’ information. This enables us to guide future generations of Custom/Self-builders about the most efficient way to build their homes. In return NaCSBA has developed a number of very tangible benefits that will help our Gold Members grow their businesses. Your company will be listed on The Self Build Portal’s Partners page. Plus the Standard Member benefits outlined below. If you’re considering joining NaCSBA as a Gold Member, we have a three-year subscription that offers a significant saving in comparison to annual Gold Membership – saving your company £1,200! This also saves the hassle of signing up annually, and ensures that your company is always recognised as a key player in the Custom and Self Build sector. *Most registered users of the Self Build Portal are would-be Custom/Self-builders looking to buy products or services for their future project. Data suggests that those who have registered are: in the detailed preparation stages of getting their projects under way; typically holding budgets of £1-200k each, though many have budgets of over £500k; want to get their project underway in the next two years; looking for land mainly in the south east/west of the UK. Notice that VAT will be added to the prices displayed above. NaCSBA understand that there are a range of organisations that would benefit from having membership or would like to show their support, but their circumstances vary. Consequently we’ve developed a range of charges for our Standard Membership in an attempt to reflect these differences. Check out the benefits of being a NaCSBA Member, below. There are essentially four levels of standard memberships, with special fees for Custom Builders and Local Authorities. Joining as a Custom Build member connects you with other innovators transforming the self build arena. Local Authorities have a special membership rate – £240 annually (plus VAT). Consumers can show their support for NaCSBA and help us create more opportunities for the Custom and Self-build by sector by registering as a user on the Self Build Portal. This individual supportership helps us track appetite for owner-commissioned homes. 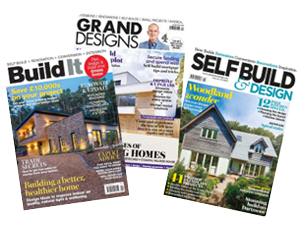 As a thank you, Consumer Supporters can benefit from competitive magazine subscription rates for SelfBuild & Design, Grand Designs and Build It. The opportunity to use our logo on your website, to illustrate your commitment to the sector and show you’re a trusted company by NaCSBA. Opportunity to network with other leading Custom and Self-build practitioners and companies. Opportunity to contribute to NaCSBA’s lobbying and position papers. Monthly NaCSBA News email providing updates and feedback on NaCSBA’s progress with Government departments and agencies. Opportunity to attend our AGM to help elect executive committee and help steer general direction. Opportunities to contribute in establishing NaCSBA’s best practice information. The opportunity to share your news and case studies on the Self Build Portal. 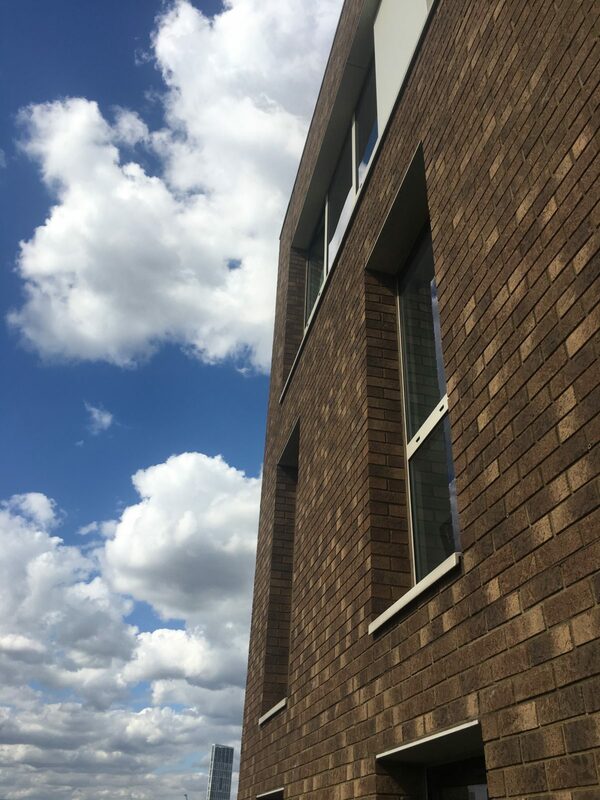 Please contact us if you’d like to find out more about Corporate ‘Gold’ Membership options or Standard Membership, including Custom Build or Local Authority rates. Membership is for 12 months and we shall contact with regards to renewal in advance of this date. To discuss ways in which your organisation could work with us, please contact our membership secretary Richard Pearce on 01249 890731 or via email. One of the benefits of being an individual NaCSBA Supporter is the chance to save on the essential magazines to help you get your project off the ground with expert advice delivered to your door. Includes Readers’ Homes, Expert Help, Product Inspiration, and invaluable tips to ensure you create a dream home on time and on budget. As a subscriber, you can also claim two free tickets to each SelfBuild & Design show. Subscribe to SelfBuild & Design for 12 issues, for £1 each! Includes plenty of advice for anyone renovating, building or extending, with inspiring reader homes, helpful advice and information. Get two free tickets to a Homebuilding & Renovating show! From the freshest TV house exclusives, design and interiors, to Kevin McCloud’s latest views, it’s filled with inspiring homes, on-trend products and clever project ideas. Plus the latest from Grand Designs Live. 13 issues a year, for £22.99 – a saving of 59% off the shop price*! *UK only, Direct Debit. £24.99 for Credit Card. The essential homes magazine to help you transform your space, regardless of you budget, with plenty of creative ideas and all the latest decorating trends. Homes inspiration to your door! 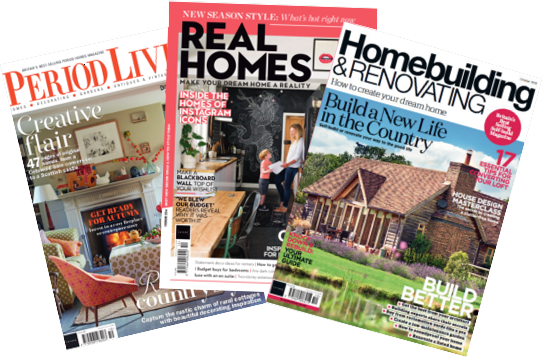 Subscribe to Real Homes from £14 for six issues, by Direct Debit. Build It magazine and website provides all the practical advice and inspiration you’ll need to self-build, renovate or extend. It’s packed with invaluable tips to ensure you plan, design and build your dream home on time and on budget. Subscribe to Build It for £12 for 12 issues – just £1 an issue! For anyone planning to Self-build or renovate a traditional self-build home, Period Living will help you with style ideas and advice for getting the perfect scheme. Subscribe for just £16 for six months by Direct Debit. Choose your level of NaCSBA Membership and show your support now!